It’s got to be Linoleumville. Seriously, this was actually the name of a hamlet on the west shore of Staten Island. Originally known as Long Neck in the 1600s, it eventually became Travisville, after a local landowner. Both are nice names. But in 1872, the town was selected to be the home of the American Linoleum Manufacturing Company. The head of the company decided to rename it after the floor covering his factory produced, where two-thirds of its residents were soon employed. In 1928, the factory closed. 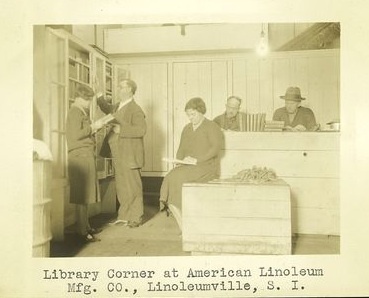 By 1930, the people of Linoleumville were ready for a change. 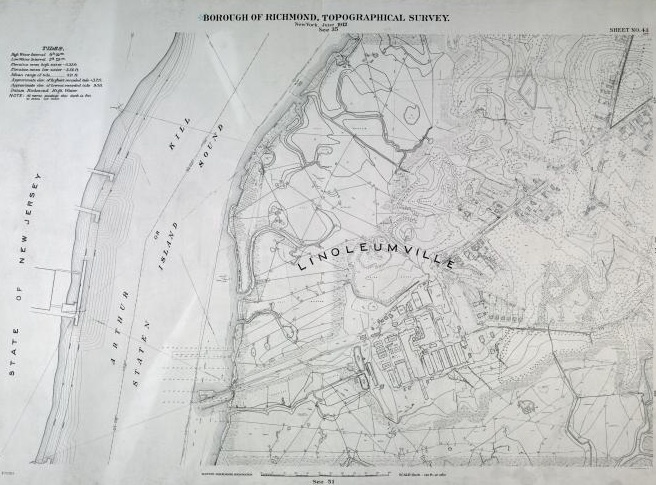 “Imagine going into some of them big Manhattan department stores to buy and giving your home address as Linoleumville!” a Time magazine article that year quoted one resident. So they took a vote. Four residents cast ballots to keep the name. They lost; more than 300 others decided to change the town name to Travis. The neighborhood is still called Travis today.